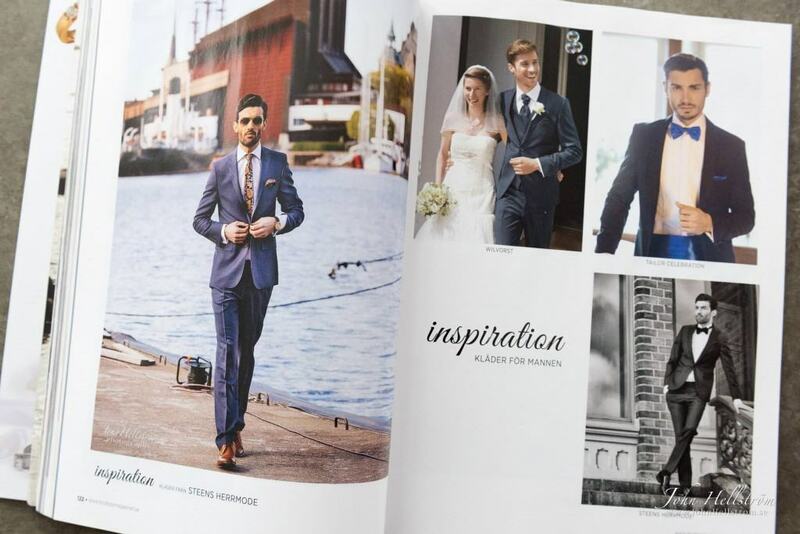 The current issue of the Swedish wedding magazine Bröllopsmagasinet (Jan 2015) shows fashion and wedding photographer John Hellstrom's images on four pages. Fashion conscious men can get inspiration! "It's great that Swedens's leading wedding magazine publishes many of my photographs on multiple pages, with one image on a full page! ", says John. John Hellström is a fashion and wedding photographer from Stockholm, Sweden.